How are you all doing? I hope your week has been lovely. It's been a beautiful week here, and more lovely temps are expected for the weekend...yay! And even though I would love to pull out shades of pumpkin and straw, I'm going to stick to as much cheery and bright as I can for at least a couple more weeks, while the Summer weather sticks around. Given the nicer weather, I've been pretty serious about running every day, which has significantly cut back my crafting time. So I really didn't think I would have time to make anything this week, but I've been trying really hard to fit in at least a little bit of crafting even during the busiest of weeks. As I keep experimenting, I'm finding some products are just way easier to work with when in a time crunch. 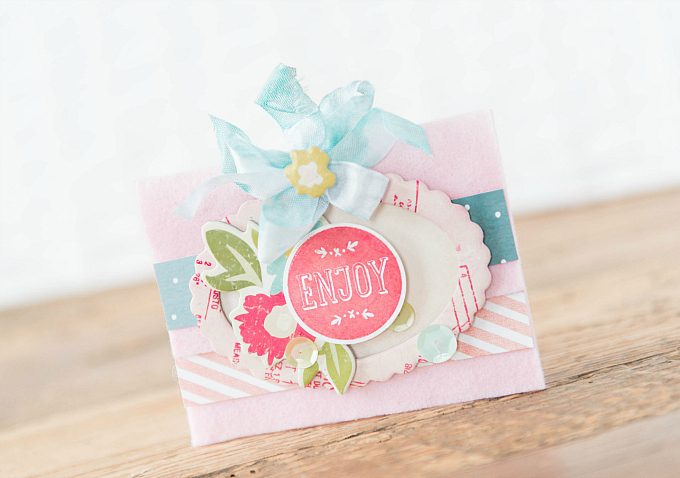 Two of my faves: chipboard and felt! The speediness can't be beat and I love that adding a few little chipboard pieces makes the whole pocket come together so effortlessly! These little pockets are the perfect size for a gift card or for a little special something, so I love making them whenever I have birthdays coming up. Since they're a breeze to pull together, I usually make a few to stash up on so that I always have one handy when a birthday rolls around. 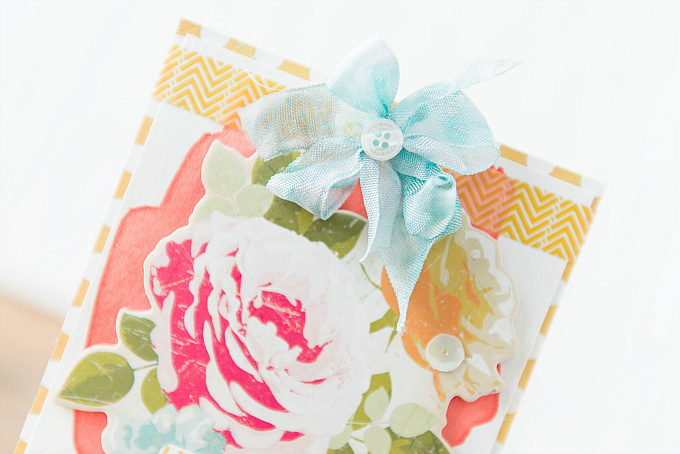 To go with the pocket, I also decided to make this cheery, bright, birthday card! 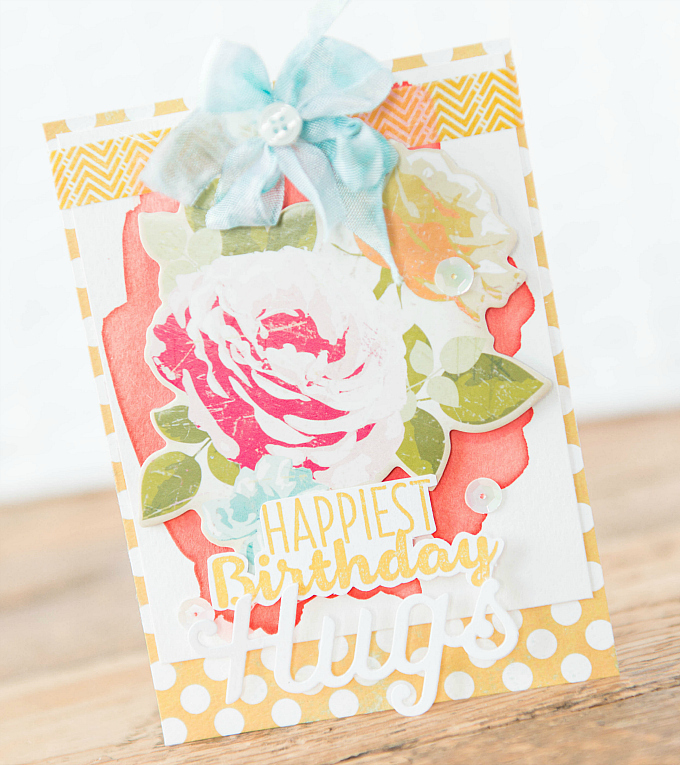 This card was a pretty quick one to pull together, starting with some watercolor on a piece of cardstock, followed by a large floral chipboard piece and a couple sentiments. The hugs die is from Papertrey Ink's Big Hugs. 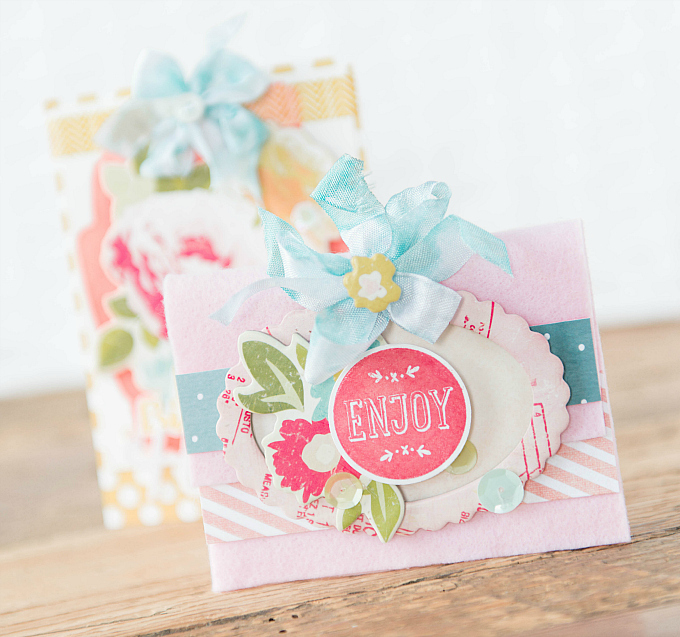 My best tip of quick cards is to use pre-made goodies such as chipboard, stickers, and pretty patterned papers that are bold and make a statement. 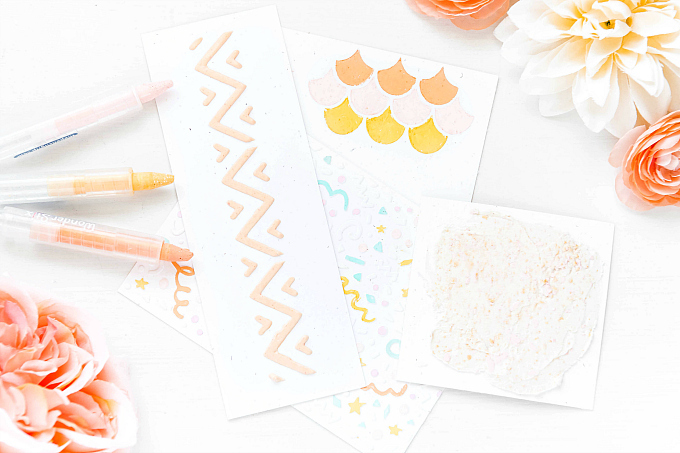 It will look like you spent hours making the card, but in reality, you'll be just taking a few minutes to layer all the pieces together. At the top, a little bit of washi tape and a ribbon, as well as a tiny button. The only exception to the quickeness of this card - the little stamped sentiment. 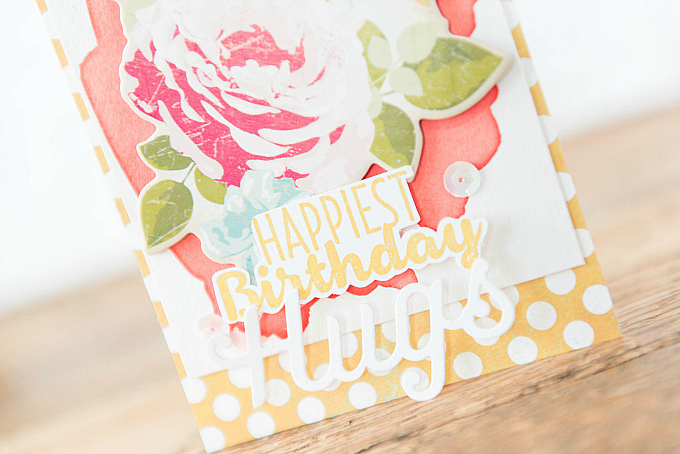 I did fussy cut the words, but if you have a stamp + die combo, even that can be sped up! To finish the card, I mounted the whole bit on some polka dot paper, because it's just oh-so-happpy! That's it from me today, friends. Thank you so much, Aneta! Sending hugs and love! Both your pocket and card cheered me right up! And I always appreciate your details and tips.